Alyss' first memories are of wanting a dog. She had to settle for stuffed animals until her 10th birthday, and she has been a dedicated dog owner, pet sitter, and dog walker ever since. 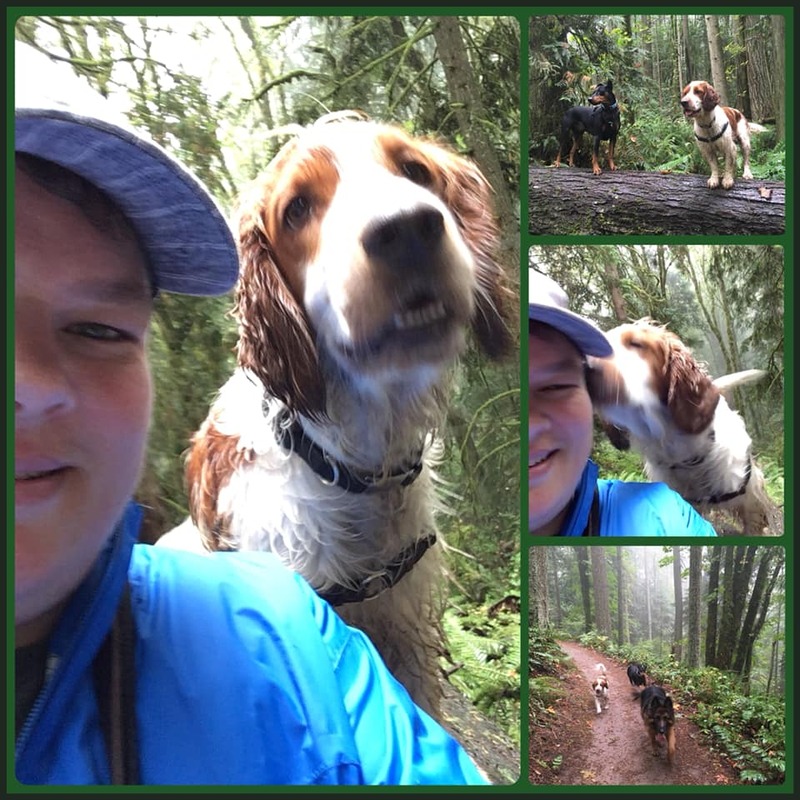 Alyss has over ten years experience caring for family pets of all shapes and sizes in their homes and on the trail. She is an experienced positive reinforcement trainer who is daily put to the test by her newest dog, an Oregon Humane Society rescue named Trask. Alyss has been a teacher and environmental educator for fifteen years, most recently as a middle school science teacher. Taking a crowd in need of consistent instructions and compassionate interaction on an adventure is right in her wheelhouse. Alyss is never happier than when in the woods with a pack of dogs, watching both the dogs and the woods do what they do best. To contact Alyss directly, email her any time at alyss@dogadventuresnw.com. To get your dog's adventure underway, just fill out a registration form and we will be in touch within 24-hours!